Progress has developed a great rear anti-roll bar to help minimize body roll on your HEMI powered Charger. These bars will dramatically improve the handling capability, steering response and chassis balance on your Charger. The rear anti-roll bar is a 22mm (.875") solid steel bar. Progress recommends that these bars be installed as a front and rear set to achieve optimal performance. The rear bar is designed for use with OEM end-links and the kit includes all necessary hardware including low-deflection polyurethane bushings, brackets, and special bushing grease. 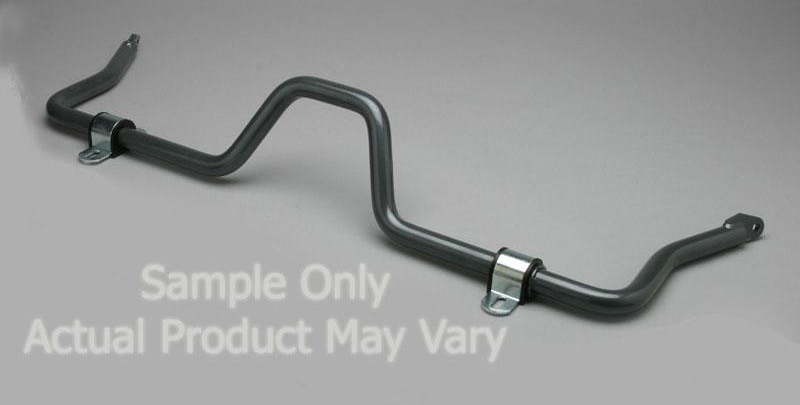 All Progress anti-roll bars are precision-cold formed and manufactured in-house.